On the 23rd of October, the opening ceremony and open house was held at the new remote sensing lab, Ljungbergslaboratoriet. The lab includes top modern remote sensing equipment such as a terrestrial laser scanner, unmanned aerial vehicles (UAVs) equipped with cameras and state of the art computers for processing 3D point clouds. The lab will be a resource for the forestry students to collect and process remote sensing data and can be used in e.g. courses and for master thesis. The lab will also invite engineering students from Umeå University to use the lab. 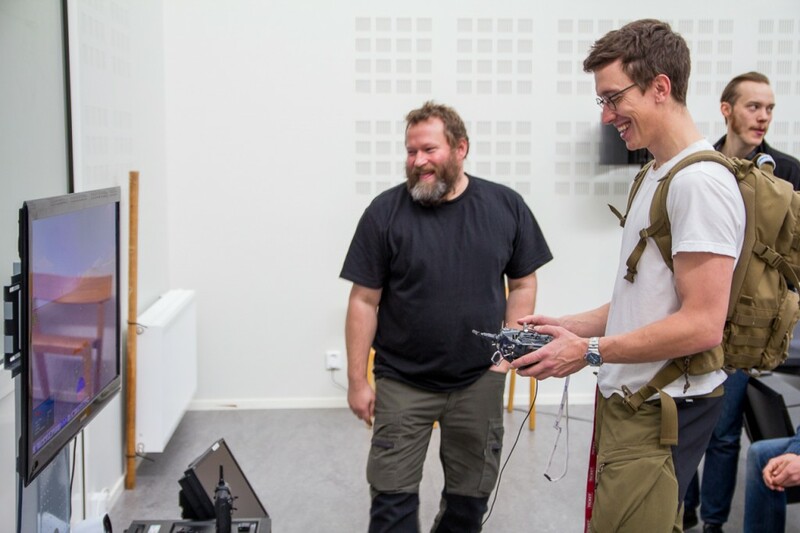 Mattias shows the lab’s recently built Tarot T810 hexacopter. 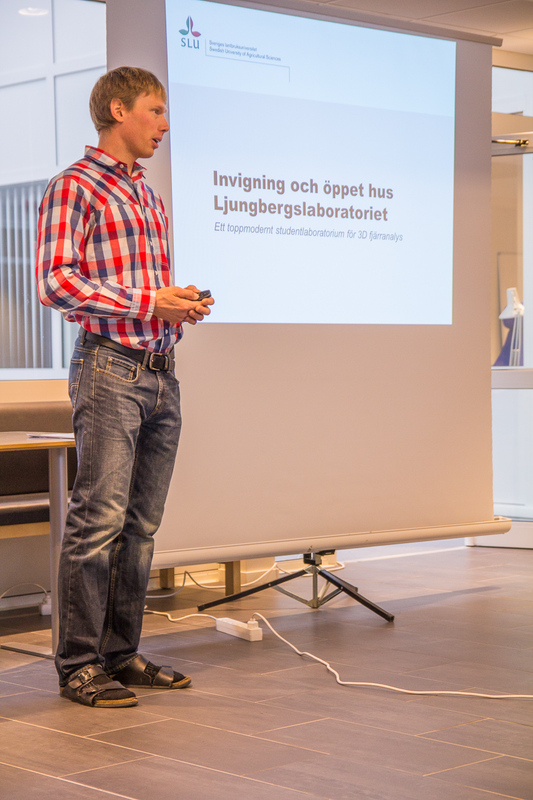 Mattias presented the lab and its purpose. Sara Jons, Ljungbergsfonden, opened the lab by cutting a birch. Jonas Jonzén revealed the highest tree in municipality of Umeå. The tree was located from Airborne laser scanning data covering the whole municipality. Many were interested in the labs multirotors. 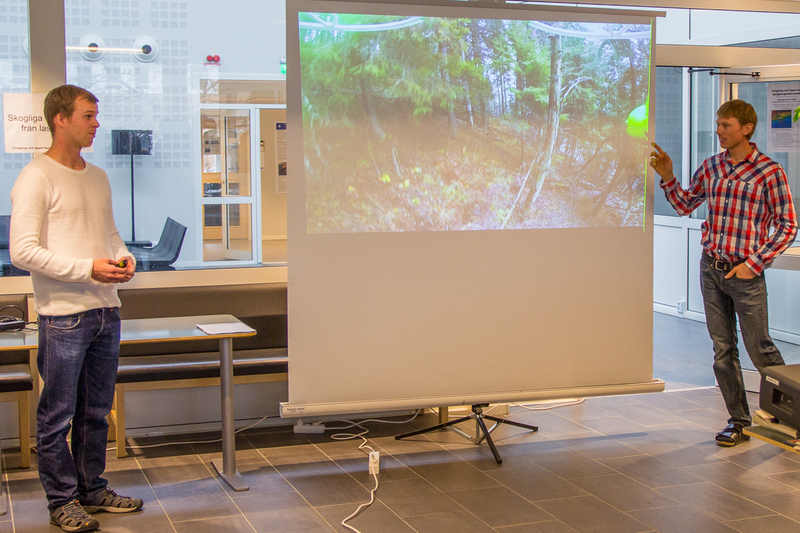 Johan Holmgren demonstrates a tree scanned with the labs terresterial laser scanner. 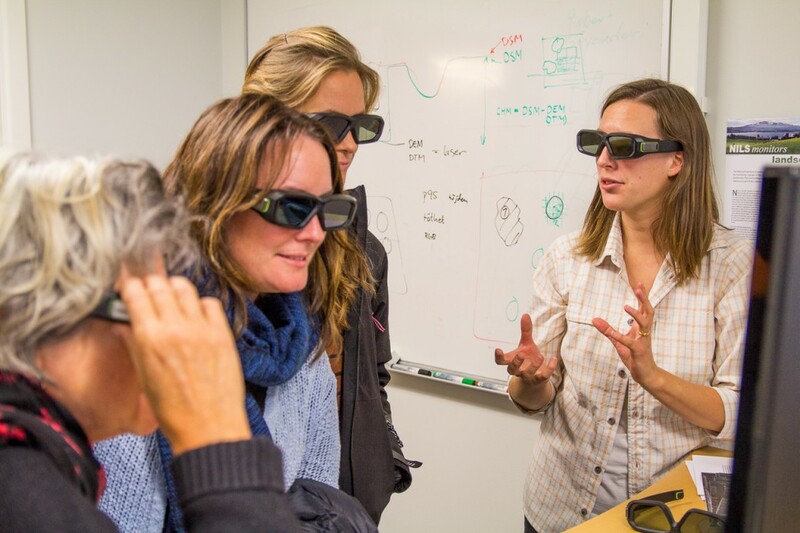 Ann-Helen Granholm demonstrates the 3D-screens in the lab. By using the glasses, the data shown get a third dimension (in and out from the screen surface). Mikael Egberth let the visitors try a multirotor in a simulator. Another popular activity. Try to fly a quad copter. 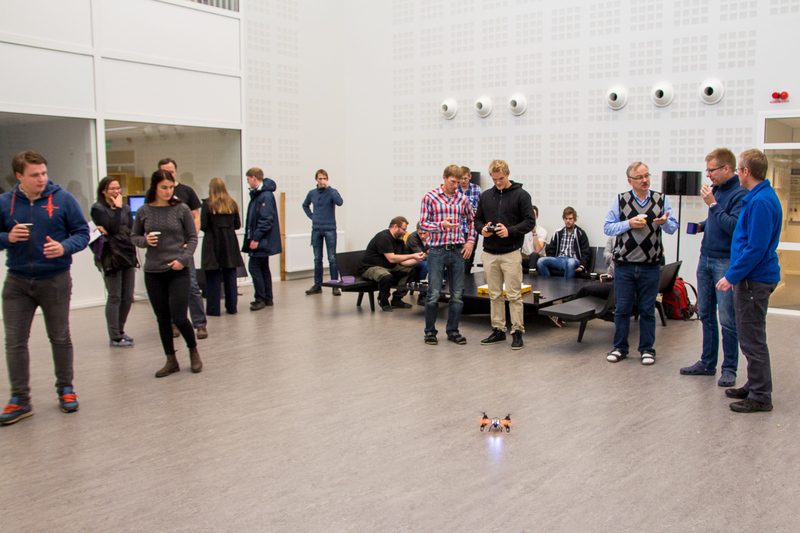 The labs mini quad copters could be tested by the visitors and many got their first experience in the simulator before trying out the mini quad copters.